Billie was sentenced to a year and a day in prison for drug possession. By the late 1940s Billie’s drug addiction – marijuana and opium in the early days, heroin later on — got her into serious trouble with the law. 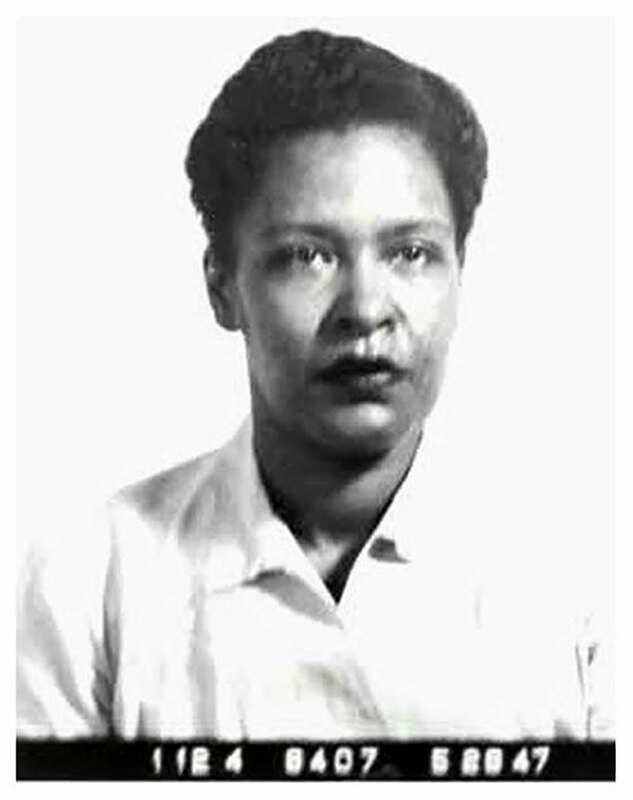 She had more than one high-profile arrest and spent about a year in prison during 1947-48. Holiday also suffered from poor choice of male companions. This is well known, described in biographies and addressed frankly in her memoir. Undoubtedly, this was one source of the pain heard in her saddest songs. But the Forties weren’t all unhappiness for Billie. She achieved international stardom and concertized at Carnegie Hall to great success. She co-starred with Louis Armstrong in the 1947 motion picture, “New Orleans” and they made some fine records together. 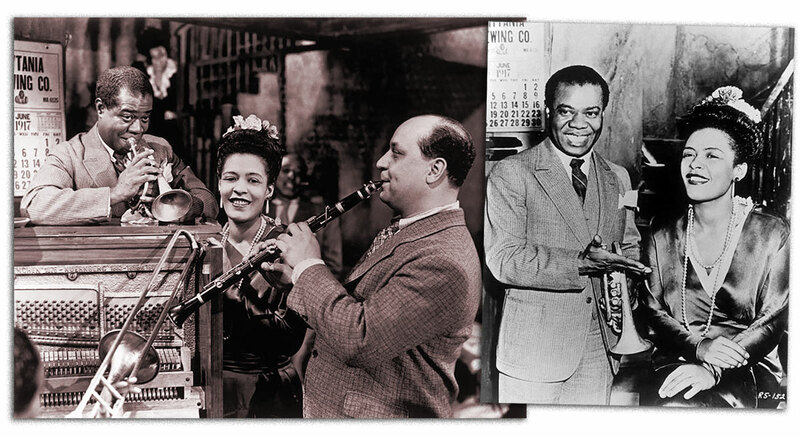 Louis Armstrong, Holiday and clarinetist Barney Bigard in stills from the 1947 film, New Orleans. By the late 1940s Billie’s life took a downward spiral. The felony narcotics conviction and a year in prison led to the suspension of her New York City Cabaret license. 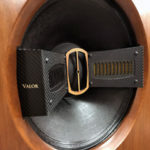 It effectively banned her from performing in New York City, sharply cutting her income. The death of her mother was yet another harsh blow. Holiday’s career was seriously jeopardized by drugs, her tumultuous relationships and legal woes. Late in the decade her voice began to deteriorate, and her physical decline was often audible and visible. 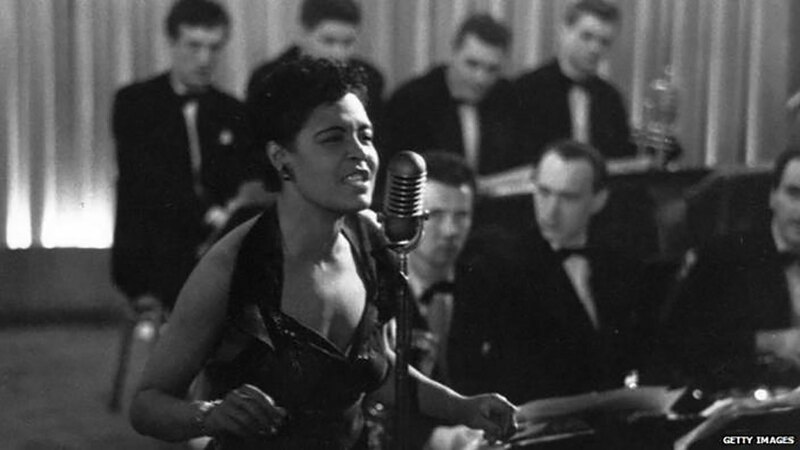 As the 1950s dawned, strong demand for her singing continued. She was recording frequently, broadcasting on radio, appearing on television and touring overseas. Despite all her troubles Billie Holiday was a tough survivor, living legend, celebrated Diva and still the best damn jazz singer around. 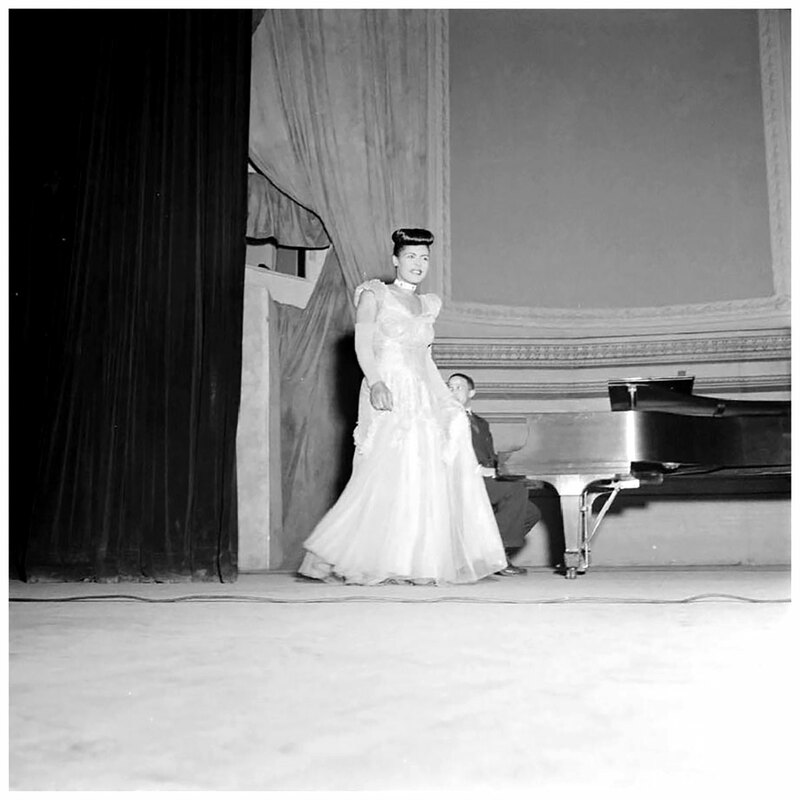 Carnegie Hall, photo by William Gottlieb, 1949. 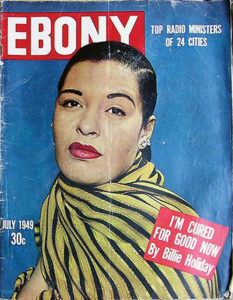 In the 1950s Holiday’s iconic stature grew and her memoir was published. 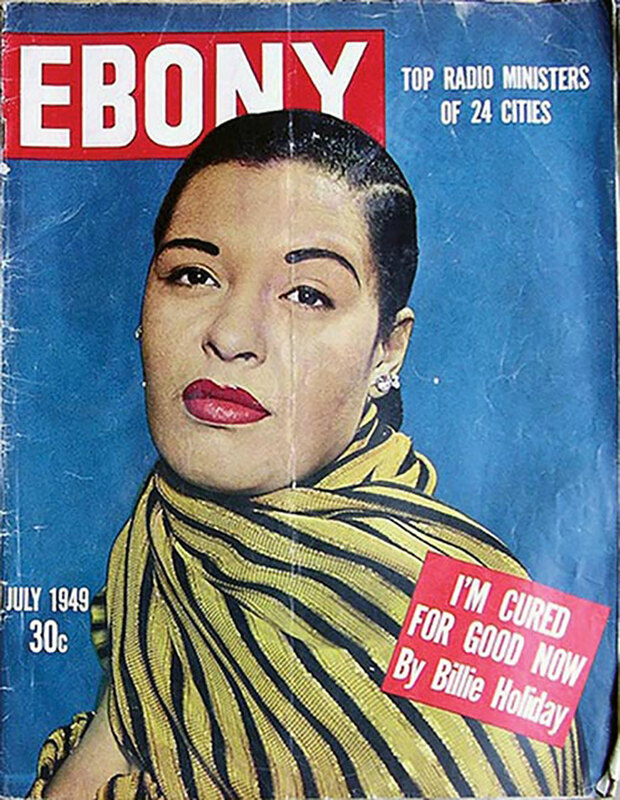 But Billie’s notoriety as a drug addict and chaotic personal life continued to damage her career – as depicted in part three.